New HDT Merchandise. Torana T-shirts. Exciting news! We’ve re-launched the HDT Genuine Product merchandise range. It’s been a long time since you could buy genuine HDT merchandise, so we’ve gone to great lengths to ensure that the HDT Genuine Product range raises the bar with superior quality and style. 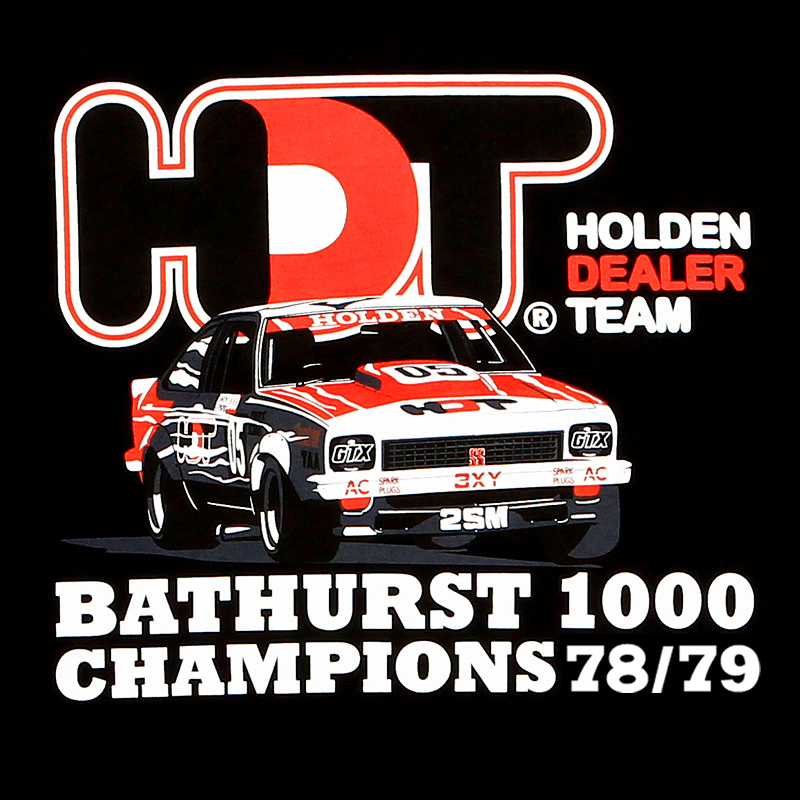 We’ve got three HDT t-shirts to start with, with each design paying homage to a classic Holden Dealer Team moments starring our HDT Toranas, driven by Peter Brock and Colin Bond. Peter Brock’s Bathurst 1000 wins in 1978 and 1979 steering the Holden Dealer Team A9X Torana. Colin Bond’s 1975 ATCC Championship win in the Holden Dealer Team LH L34 Torana. The designs were illustrated by a local artist and have been printed right here in Australia on our superior quality tees. The HDT Genuine Product t-shirts are 180 GSM combed cotton with bullet proof construction. What does that mean? It means our tees are superior quality to the cheap knock offs doing the rounds on eBay. They won’t shrink, fade, lose shape or fall to bits. HDT Genuine Product t-shirts will outlast all the competition, just like our cars! Keep an eye out as we release more merchandise in the coming months.